Celebrating Singapore Shores! 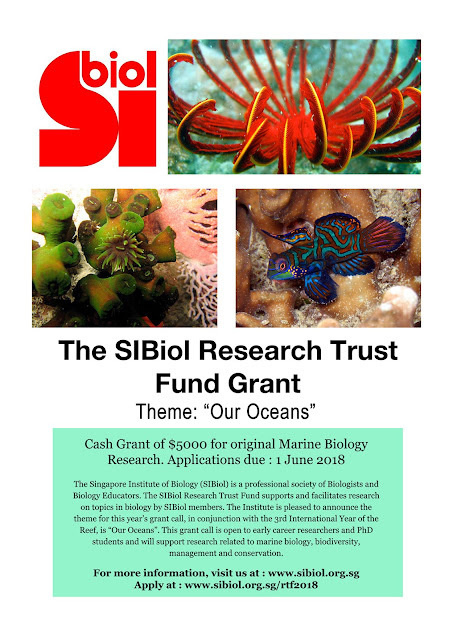 : SIBiol Research Trust Fund and Student Research Award - Grant Calls! 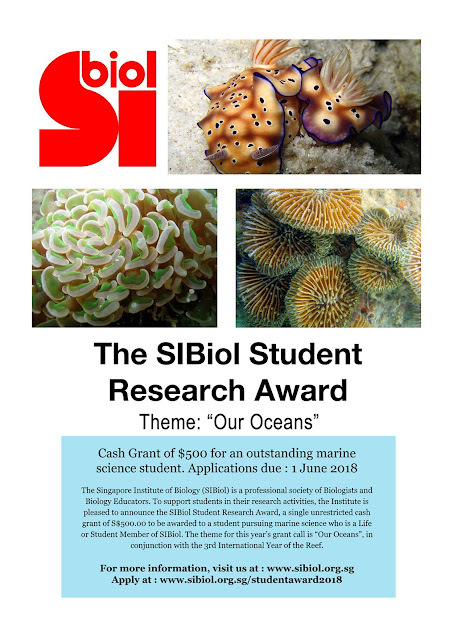 SIBiol Research Trust Fund and Student Research Award - Grant Calls! The Singapore Institute of Biology (SIBiol) is a professional society of Biologists and Biology educators (www.sibiol.org.sg/). SIBiol is proud to announce two funding opportunities for students and early career researchers. 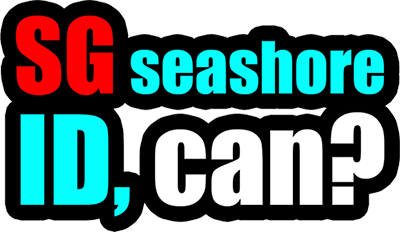 In conjunction with the International Year of the Reef 2018, the theme for this year's grant calls is "Our Oceans" and will support original research projects in the field of marine biology, biodiversity, management and conservation. The SIBiol Research Trust Fund supports and facilitates research on local topics or questions in biology by SIBiol members. To date, the SIBiol RTF has supported over 30 research projects. Each Research Grant awards up to SGD 5,000 for: (i) an original two year project (renewable for another term, subject to progress assessment), or (ii) funding interns to perform research under an existing grant. This grant is for early career researchers (i.e. PhD students, post-doctoral researchers) who are Life, Ordinary and Student members of the SIBiol Researchers. Applicants must be based in Singapore and must hold a position in a recognised academic institution in Singapore. Student member (at least in the 3rd year of graduate studies/passed their qualifying examination) may apply together with a Lab Head, who is an SIBiol member. To support students in their research activities, the SIBiol is pleased to announce the SIBiol Student Research Award, a single unrestricted cash grant of SGD 500 to be awarded to a student pursuing marine science who is a Life or Student Member of SIBiol in support of the student's research activities. This award is for undergraduate (4th year/Final Year Project) and graduate (Masters or 1st/2nd year of PhD studies) students pursuing studies in any field of Biology. Life or Student Member of SIBiol at the point of application for the award. Applicants must be either Singapore citizens or Singapore permanent residents.